This page describes how to use SAP Lumira or SAP Predictive Analytics to analyze data provided by SAP IT Operations Analytics (SAP ITOA). The concept is to create analytic or calculation views and link with data source tables and table views of SAP ITOA. This description focus on SAP Lumira and Analytic View and was tested with SAP IT Operations Analytics version 2.0. 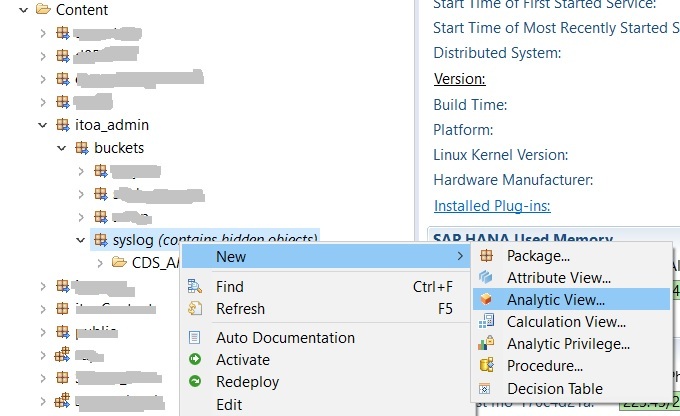 Start SAP HANA Studio and create a new analytic view within the package, the SAP ITOA data source is available. With right-click on syslog, create a new Analytic View. In analytic view select a Add / New Object and choose the desired table. Select the desired attributes and choose the option Add to Output (mouse right click). Choose Semantics and adjust the desired Type (Attribute or Measure) or other options (e.g. Aggregation). Save & Activate the configuration. 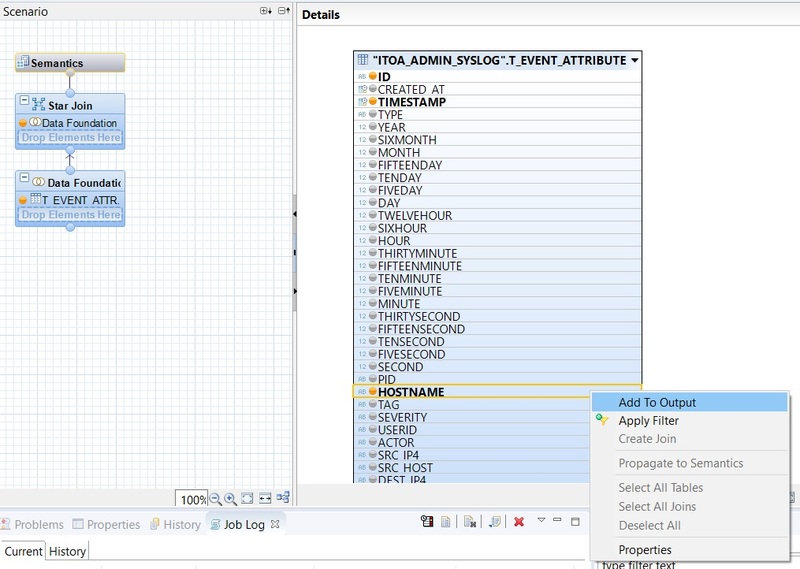 Assign the analytic privileges _SYS_BI_CP_ALL to the desired database user. Enter Server, Instance User and Password. As a result the analytic view should be accessible.